True to SM’s tagline “SM Cares”, SM Sta. Rosa treated member PWA’s and families of ASP Sta. 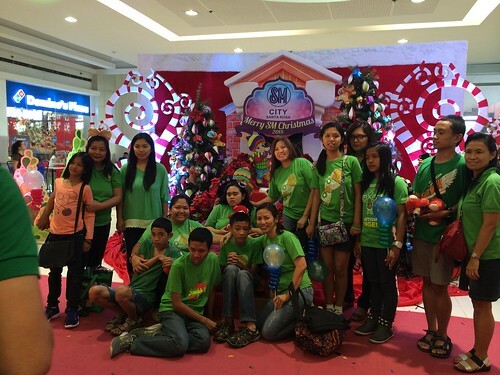 Rosa and Biñan last 22 December 2015 at the activity area of SM Sta. Rosa. Fairy tales came to life for our member PWA’s and families, as their eyes feasted on the amazing performances and lively sounds. They were also treated to generous gifts and foods after the performance. About the contributor: Ms. Liezl Viray, Marketing Manager of SM Sta. Rosa and her staff were present during the event and made ASP truly felt special and cared for during the entire event.